The Philippine Embassy here in Seoul welcomed the new Philippine Ambassador to South Korea through a simple celebration which was simultaneous with the Philippine Independence celebration. I was told that this year’s Philippine Independence celebration was toned down as compared with the previous years in consideration of the Sewol tragedy which happened in April but shook the entire nation due to the fact that most victims who died were middle school students. 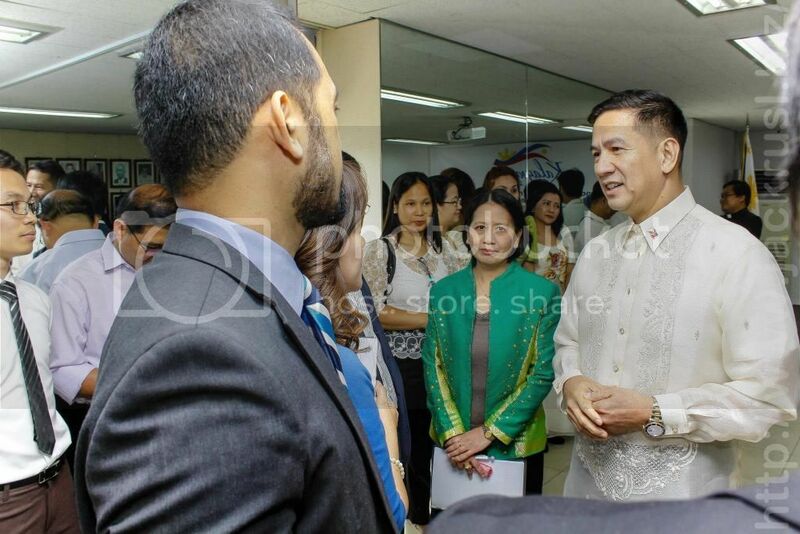 Representatives from the Filipino community were invited to attend the event and welcome the new ambassador, H.E. Raul S. Hernandez. It was my first time to attend and to represent “The 601 Habit” in such an event. The simple celebration was held at the Multi-purpose Hall of the Philippine Embassy in Itaewon. 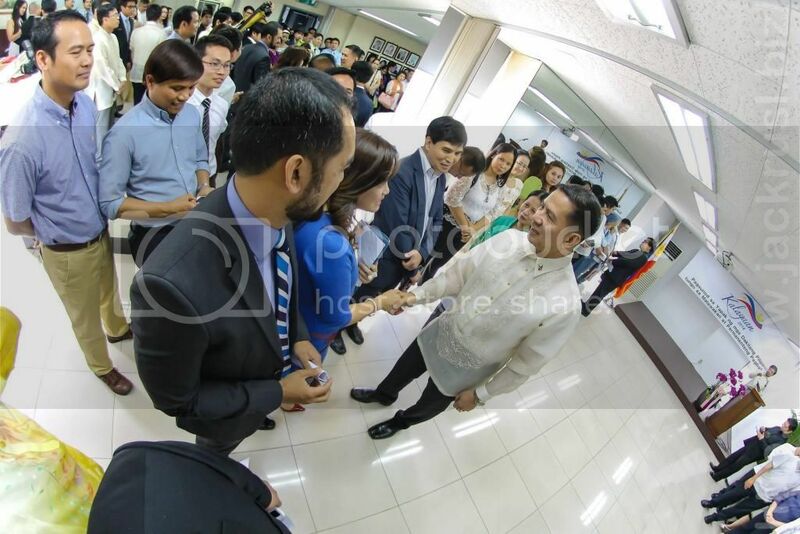 Ambassador Raul S. Hernandez went around to be introduced to almost everyone present before the program started. The short introduction by Labor Attache Atty. Felicitas Bay allowed me to talk a little bit about “The 601 Habit”. I guess “The Lifeboat Project” and the “Hands-On Philippines” have made an impact in the Filipino community here. And there’s also the on-going monthly Give-Back Project with the Kumkang School. Oh no, I didn’t blabber about all those in such a short time:-)… We had more opportunity after that. There are many Filipino organizations here in South Korea representing a variety of sectors. I wouldn’t have belonged to any of them if not for “The 601 Habit”. And I wouldn’t have interacted with the Filipino community, save for my selected group of friends, if not for “The 601 Habit” which we, as a group of friends, treat as one of our babies. More about the event was written here.